Want to encourage your child's early development in a safe, fun, and interactive atmosphere? Our Bright Beginnings class will be perfect for you and your little one! Come enjoy music and lots of fun activities that encourage exploration and discovery. Who: Toddlers ages 12mo-24mo and parent or guardian. 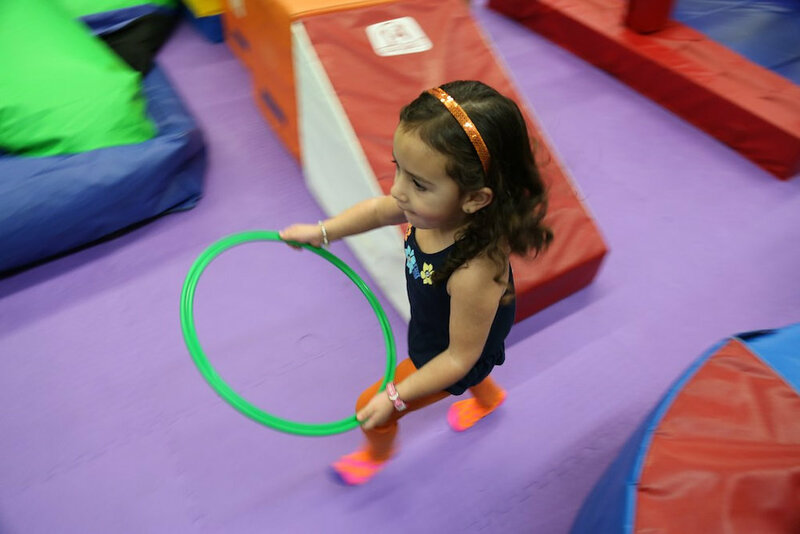 Experience the fun of gymnastics learning and discovery with your little one! Come in for a 30 minute session once a week to play, develop coordination, and experience new things! Uses bar, beam, floor, and fun training equipment such as hoops, balls, music, and more! Who: Boys and Girls age 2 and parent or guardian.